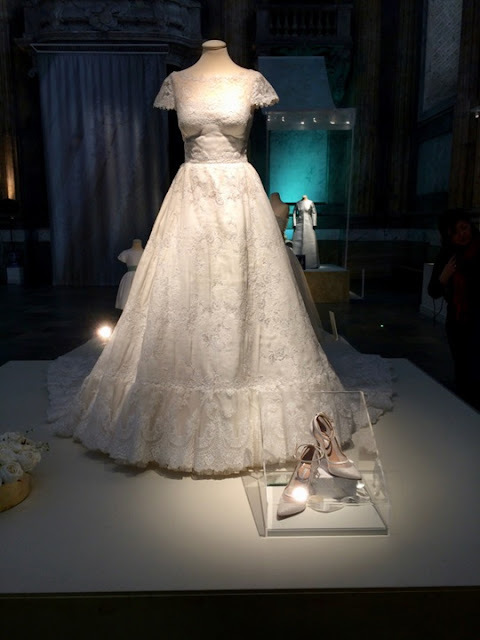 I think it's time for a little flashback to a perfectly summery royal wedding gown, complete with new views courtesy of some lovely readers that visited Sweden's recent royal wedding exhibition! 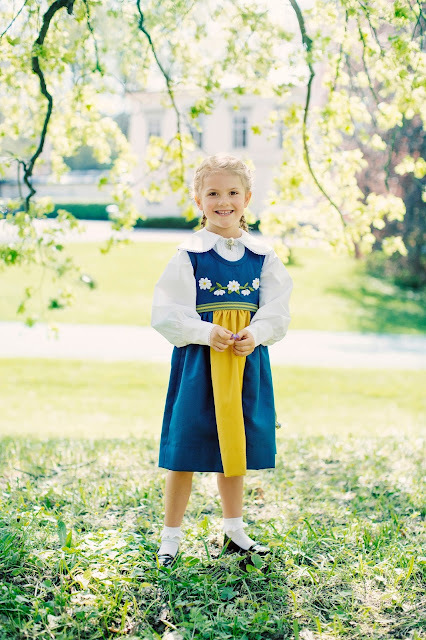 But first, we have business to attend to, and that business is national dress. 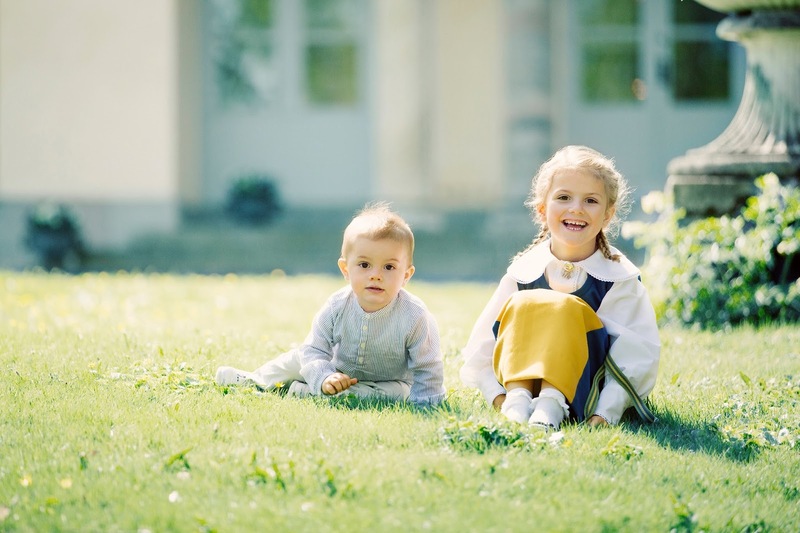 Sweden celebrated National Day on June 6, so the royal family did what they do and got fully into the Sweden spirit. First up: Crown Princess Victoria and Prince Daniel released new photos of Princess Estelle and Prince Oscar, a little tradition of theirs that's full of awwws. Second: The adults get in on the fun, with the ladies donning their national costumes to attend an outdoor concert. This is our designated annual time to wonder whyyyyy don't the men play along (not even wee Oscar, did you notice that?) and whyyyyy don't all the ladies wear the same old-timey shoes Silvia and Victoria wear? I think the best answer to both is probably something like this: *shrug*. 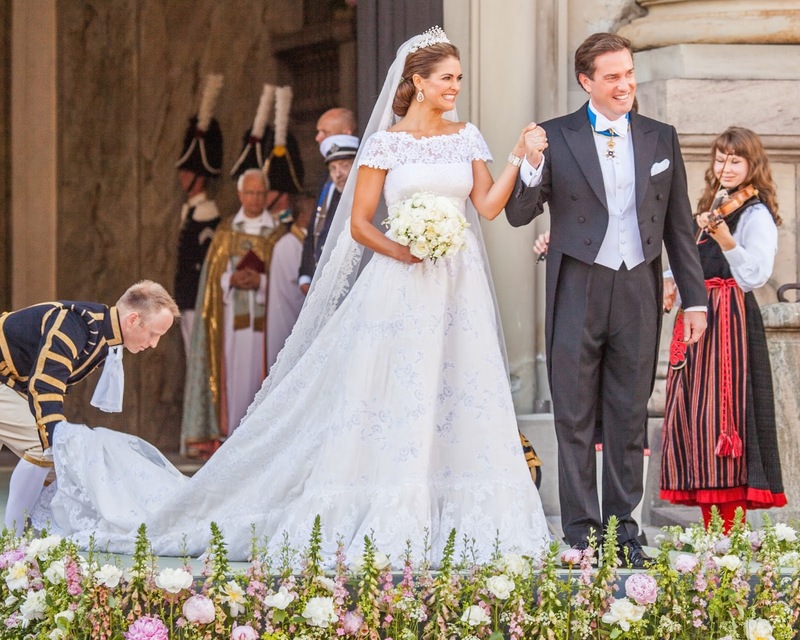 Princess Madeleine married Chris O'Neill in the Royal Chapel at the Royal Palace in Stockholm on June 8, 2013. 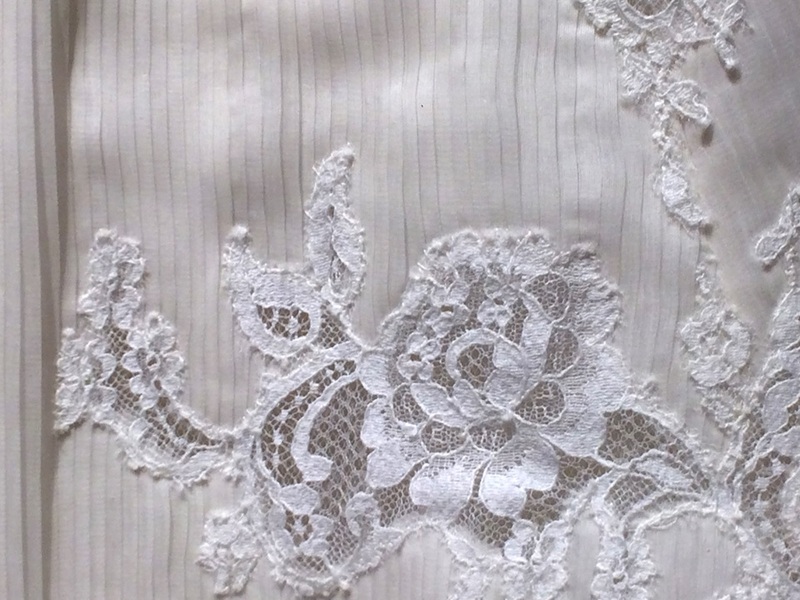 At the time, I wrote that her gown was a perfect choice for a summer wedding, if not necessarily a memorable choice. 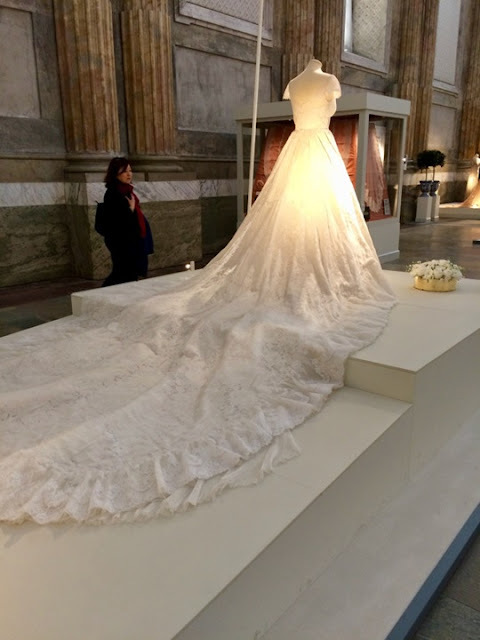 I was wrong; it has stuck in the memory, but not really because of the gown itself. It's that entrance. Accompanied by a choir of children singing a wedding march while her train and veil sweep effortlessly over the chapel floor? Please. In the past four years, it has zoomed up my list of best royal wedding entrances. 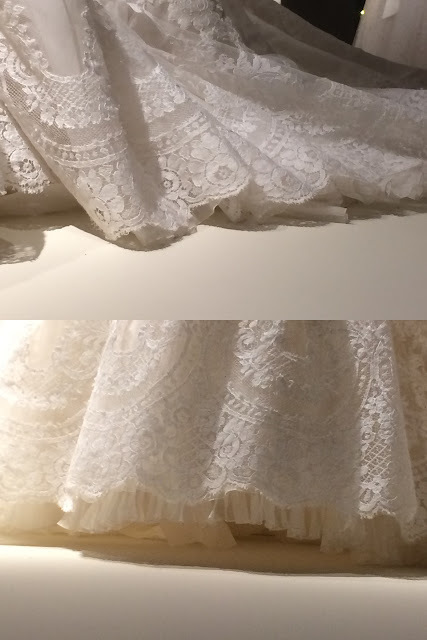 It feels even more light and summer-appropriate in these glimpses of the dress on display, don't you think? 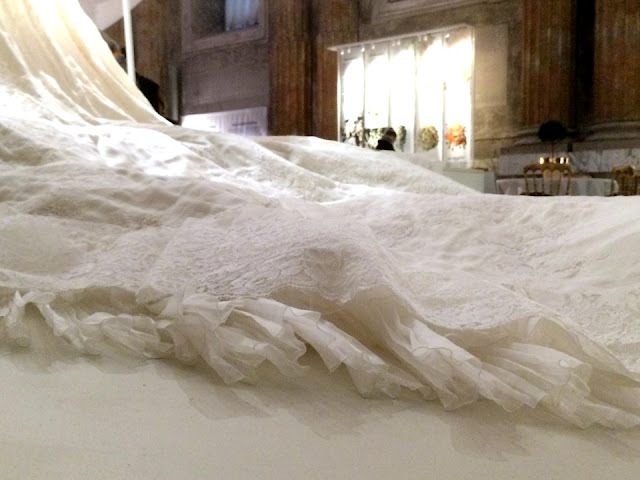 Madeleine's dress was quickly lumped into the Just Another Valentino Dust Ruffle category for many of you at the time of the wedding. I'd be lying if I said I hadn't done the same, to a certain extent. The close ups prove that there's actually a lot more going on here. You can see how the lace ended up floating along, and how delicious that lace really is. And the pleats! These really didn't stand out in the pictures or video from the big day. Oh, we mustn't forget the shoes. 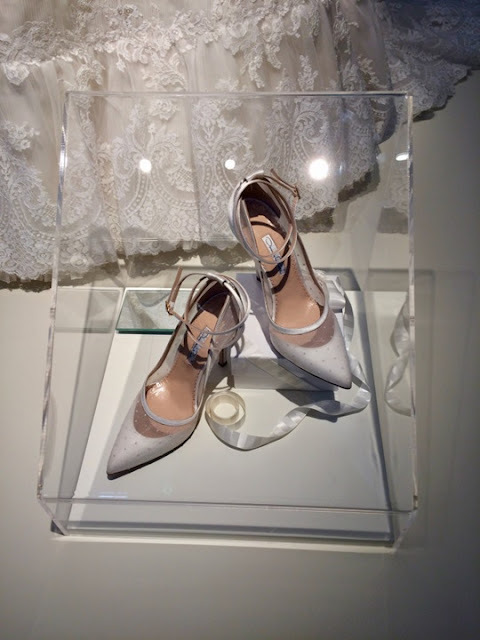 The Oscar de la Renta shoes are ivory white organdy with woven point d'esprit dots, which is an unexpected bit of whimsy on a serious shoe. Goes with the whole thing, no? Yes, I think I'm coming around on this one. Are you? Or were you already there?